There is nothing that beats the performance of a personal vaporizer (PV) or vape pens. They are the cream of the crop in handheld vaporizers. 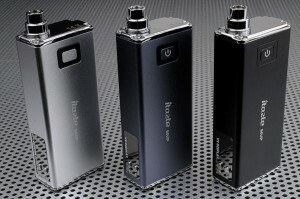 Personal Vaporizers or PVs for short, are also known as MODs or a MOD vaporizer. The name comes from the fact that many of the first personal vaporizer models stemmed from modifying tubes likes pipes or flashlights to fit around vaporizing hardware. The atomizer and tanks would be put together to produce modified vaporizers that outperformed what was available to buy. Personal Vaporizers are very popular and have created a community of vaping aficionados, pushing manufacturers to outdo themselves every year with better devices. PVs are the most powerful vaporizers and feature the most options. The amount of vapor can be much bigger than even the best electronic cigarette devices. Big vapor clouds are one of the reasons many people prefer these devices, but being much larger, the tanks and batteries will carry on all day with no recharging required. They vary from branded proprietary models to clones that are slightly modified for specific brands to resell. The choice is vast and we can help you find the best ones. The Volcano brand resonates as one of the best vaporizer manufacturers and the LAVATUBE 2.5 MOD is no exception. The whole line of products is great but the Volcano LAVATUBE is their top of the line PV, producing the most vapor and longest battery life. Price is in the higher range, but the kit is very complete with a carrying case and a 15ml bottle of e-liquid in the flavor and nicotine volume of your choice. Both voltage and wattage is variable and features a good looking easy to read LCD display. 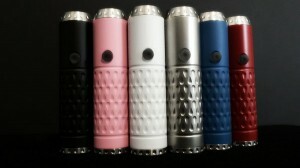 Easy to use and built with a lightweight aluminum casing with an anodized finish in various colors. 510 threads, good airflow design and 18650 powered, the quality and performance leaves little to desire. V2 brought some serious game to the table with their latest Pro Series 3 vaporizer. Instead of following the standard of dedicated usage vaporizers, they decided to give the users the option to use any medium with a single device. The V2 Pro vaporizer can accommodate 3 different types of tanks, one of e-liquid, one for herbal and one for oils, essentially giving you a universal vaporizer. That’s not where the innovation stops, instead of using traditional threads, the tanks attach magnetically, for a perfect and effortless fit and change of cartridges in no time all while detecting the type of cartridge and auto-configuring itself. The device is small in size and sleek in design, easy to carry around. If you only need it for a single medium, such as e-liquid, you don’t have to pay extra, as the loose leaf and oil cartridges are sold separately for $24.99 each. Overall, even if you only need it for one, the price point and performance offered by the new 2014 V2 Pro Series 3 is worth every penny. The VaporFi Rebel Personal Vaporizer is a monster performer. It is a very powerful PV with great features and functions that operate just as you would want it to. 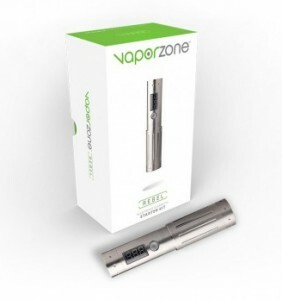 It comes in a sleek and durable stainless steel finish and has both variable voltage and wattage settings, providing the user with unlimited control on temperature. The Rebel features a smart microprocessor that controls everything precision. The LCD display is easy to read looks great. The body uses universal 510 threads that allow many types of tanks to be used. It can be powered by 18350 18500 and 18650 batteries. One other factor that ensures quality, is the fact that VaporFI is known for producing some of the best e-liquids available on the market today. The Apollo VTube Kit V3.0 MOD is a top contender in vapor production and features variable wattage additionally to voltage for full control of power and temperature. The V3.0 now has a removable top cap to allow additional clearomizers and atomizers and also makes it easier to clean and maintain. The main body is constructed in stainless steel with a brushed metal finish and has 510 and eGo threading for maximum compatibility. Powered by an 18650 battery for long life before requiring charging. The Apollo ProTank 2 can be added as an option, but any tank of your choice will fit. The kit features everything you need including a carrying case. Apollo is known for producing high quality e-cigarettes and they certainly delivered a quality product with the VTube MOD. For those looking for Apollo’s flagship vaporizer, this is it. With their solid lifetime electronic component warranty, the money spent on their products can go a long way and keep you equipped for years to come. The kit features everything you need and more. Innokin developed an unorthodox MOD with the iTaste MVP 2.0 and we love it. As opposed to being a cylindrical shaped vaporizer, the iTaste MVP 2.0 ditches the traditional rechargeable batteries by featuring an internal battery and small compact rectangular shape. This device is perfect for when you are on the go because of its size but it is just as advantaged for home use with pass through capability; because it does not use traditional removable rechargeable batteries, you can plug it in to a power source and still use it! It has all the same great features the iTaste is known for and produces the same amount of vapor as the competition. A very popular MOD today thanks to a thought out design and ingenuity. The iTaste VTR is everything the MVP is not. Instead of presenting another mid-level power output device, the VTR is a full powered 5 amp output circuit with variable wattage and voltage from 3-15 Watts and 3-6 Volts, offering the same power as the biggest personal vaporizers in a small compact size. A small chamber holds the tank in place on the side of the body, further more reducing the overall size of the device. Another huge improvement is the rotary dial to turn power settings up and down. Much better than pressing a button and great improvement compared to the oddly placed buttons next to the MVP’s LED screen. However, as mentioned, Innokin’s VTR is the opposite of the MVP, in the sense that it is a full out powerful vaporizer instead of being multi-functional. It does not have an internal battery and instead requires an 18650 battery that is not included. It also does not act as a portable charger or have power output options by USB cable. If what you want is a compact vaporizer, this is a nice one, available in a Grey or Army Green finish. The Vamo V5 personal vaporizer MOD is seen many revisions and is now at its 5th model. It is an entry level, very affordable MOD. The microprocessor has seen many improvements in their latest model and produces and very nice amount of vapor with adjustable wattage going up to 15 watts. 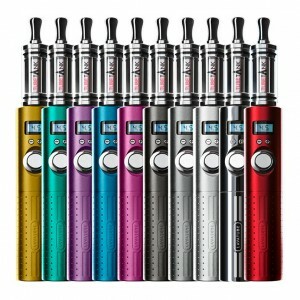 It’s important to note that previous Vamo models had lots of bad reviews and had a serious bubbling and rattling issue. They have really made it better and balanced and the e-liquid no longer bubbles or overheats. The build is still cheaper than most and maintenance is not flawless. Menu flowing is not too difficult but not as fast as some other models. If you want the best, this may not be it, but it’s a fantastic MOD at its price point with enough vapor production to make it a solid competitor against top of the line models. The Tesla MOD just keeps growing in popularity for being a high quality personal vaporizer at a very affordable price. Built out of aluminum alloy, the Tesla was designed with comfort and performance in mind. Free of sharp edges, it features a grip handle and the weight feels balanced in your hand. As far as performance goes, powered by an 18650 battery, the 3 Amp circuit produces solid vapor that can compete against more expensive models. Air vents for the battery also ensure long battery lifespan with overheating protection. Depending where you buy the kit, it usually does not include battery and charger but those are small negligible expenses that still make the price point of the Tesla really affordable. We enjoy it, it is a larger device and packs some serious punch. The ProVari is a top shelf MOD that is surprisingly small. The ProVari Mini is known as one of the best personal vaporizers ever made and are said to be very durable. A large number of long time vapers sweat by this device and the ProVari MOD has a constantly growing fan base. Don’t let the size fool you, it has all the best features including adjustable airflow, producing thick clouds with a balanced taste. Single button voltage control with a microprocessor chip keeping everything in check, this mini device beats many of the bigger ones. It does mark higher in price, but has been a template for many competitors and hard to imitate. It has all the same performance and features the ProVari V2 has but in a compact size and comes in various finishes. 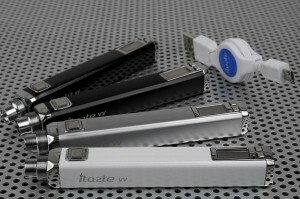 The iTaste VV took the new model name VV/VW with their latest revision that included variable wattage. Simple name, simple design but great performance at a great price. The MOD is an elegant and slim 1 piece device and comes with a USB extension cord allowing you to plug and vape away. 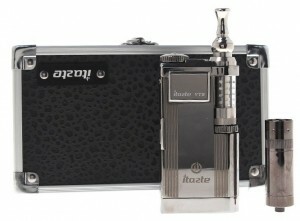 Like some other iTaste models, it features an internal battery and has more of a square shape as opposed to cylindrical. Fully variable voltage from 3-5V and from 6-11 variable wattage. However, it is an even smaller model, easily fitting in your pocket while still providing strong vapor production. The smart design makes it as small as possible without sacrificing quality parts, making this another solid choice for a MOD. The power batteries in PV units almost always offer voltage control, giving you control over power output. Having variable voltage control is a huge advantage, allowing you to turn it up or down to find the best heating temperature for which ever e-liquid you decide to use. Most devices have a 3.0 to 6.0 volts power range and can be adjusted in increments of a tenth of a volt. The higher you go in voltage, the hotter the temperature. However, this also depends on the resistance rating of your cartomizer. Most of the cartomizers on the market are rated as Low Resistance (LR) and High Resistance (HR). Low resistance means more heat will pass onto the heating element. As an example, an (LR) cartomizer will run hotter at 3 or 4 Volts than a (HR) high resistance cartomizer would. Therefore a High Resistance rating usually requires a bit more voltage. This way, it is easier to find the perfect settings of temperature and voltage for any type of e-liquid or flavor. You would not want to use too much high voltage on your personal vaporizer with a low resistance cartomizer, as the heating element would get too hot and start giving a burnt taste. Most PVs have an LCD display featuring voltage settings, battery percentage and also detect the resistance level of your cartomizer making it easy to use. Many users favor PVs over electronic cigarettes because they are more fun, customizable and can produce huge clouds of vapor. Personal Vaporizers come in a variety of models that offer the choice of using between an atomizer, cartomizer, clearomizer or tankomizer. The atomizer is essentially the heating coil and you could use it for dripping flavors without using a tank full of e-liquid. The cartomizer is a re-fillable tank that holds the heating coil and wick material, they are sometimes tricky to fill but perform well and retain a small amount of e-liquid for a long period of time. Clearomizer and Tankomizer tanks are usually see through and come in different build designs with heating coils on top or bottom and are usually easier to refill. The possibility of mix and matching different brand tanks with your vaporizers make it a fully customizable device and adds value. Heavy smokers who try out electronic cigarettes tend to go back to tobacco smoking. If you are one of those, a Personal Vaporizer (PV) or MOD vaporizer might be exactly what you need to finally feel satisfied. It is a bigger device, not as elegant as a small compact e-cigarette and require a bit of maintenance, but the performance is just on another level. They have a huge following and anyone who uses them will vouch for it over any compact e-cigarette. Some prefer to use it as an indoor device and keep the electronic cigarettes for easy carrying when outside, but PVs also have the advantage of lasting for a full day without needing a refill or recharge.